Mayhem all around… who would have thought that because of one volcano erupting in Iceland, the world (mainly Europe) would be brought to a stand still. 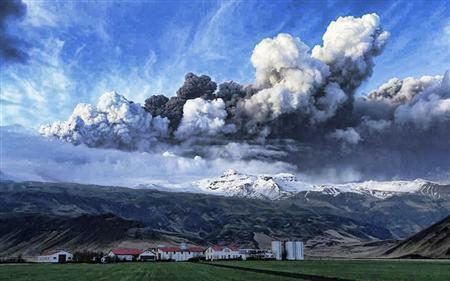 The effects of the Eyjafjallajokull eruption has been dramatic; businesses brought to a halt, stocks and shares falling, empty school desks, navy ships being sent out, and ghost flights testing the precarious, or not so precarious airwaves. The situation is casting a dark cloud on the exporting of goods from developing countries to developed countries. Every day that passes by during this global chaos, a worker is told to stay home, food, fruits and vegetables go to waste, and an already group of unstable economies break down even more. We take from and expect nature to adapt to our industrialising and innovations, but during this moment of the year 2010, we are reminded of a simple fact; that actually ‘nature controls us’. This year is moving swiftly, but we at i-genius remind you to remind yourselves whatever innovative projects or businesses you are developing, do not forget to spare a moment for Mother Nature because after the ash clouds come to rest and you look back at the photos and videos, you will quietly come to realise that nature and its activities are quite beautiful indeed.